Also if you have any question, feel free to ask and also don't forget to kindly share this post. 5GB!!! 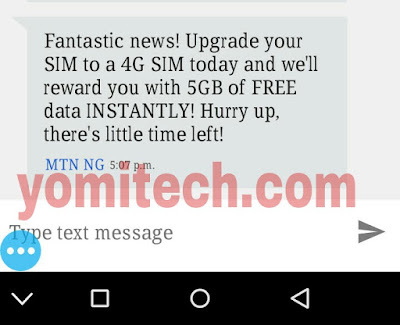 What an offer from MTN, Is this to entice people in switching to the trending 4G network, well it's a welcome development. Change is very important the say but a positive one. 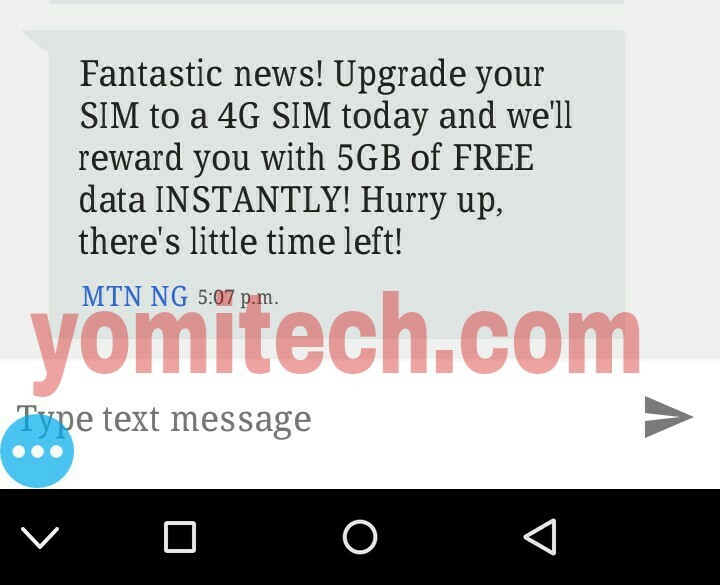 I Guess MTN is out to make customers feel better with the speed in connection when connected to the 4g network. Thanks for the update Yomi, to be frank I love what you are doing here on this blog, keep it up. Best place for tech tutorials and free latest browsing cheats. Thanks.